This tiny banjo player packs a serious punch. Musical family roots in Maryland and Southwestern Virginia ordained Lydia’s musical destiny long before she picked up a five-string banjo. Educated at the Levine School of Music and Goucher College, her real education in traditional music came from one-on-one experience with old time, Irish and blues musicians. A gifted pianist, guitar, accordion and recorder player, Lydia decided to focus on the banjo. During and after college, Lydia spent a great deal of time travelling and seeking out mentors on the banjo in Maryland, Virginia, North Carolina, West Virginia and Kentucky. Over her lifetime playing music, from the early years when the Martin Family Band was created, up until today, she has taught and performed at a wide variety of venues across the United States and in Ireland. 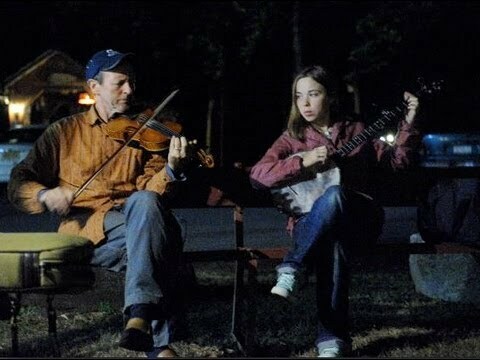 The Martin Family still actively performs, and Lydia has also been working on a new banjo album to be released this year. She will be touring as a solo artist following the album release. Her solo debut has been long awaited and promises more to come. This album was produced by Dirk Powell and recorded in Lousiana, Maryland and New York. The guest artists include Dom Flemons, Tony DeMarco, Phil Wiggins, and more. It is a portrait of the banjo and voice, set against a backdrop of old time, Irish, and blues music. Look for it in 2014.